One of the best bronzers out there is the Bourjois Paris Delice de Poudre, more commonly known as the chocolate bronzing powder. It is the powder that brings a subtle hint of sunshine to your face, not a dark murky look, rather a gorgeous sun-kissed glow. 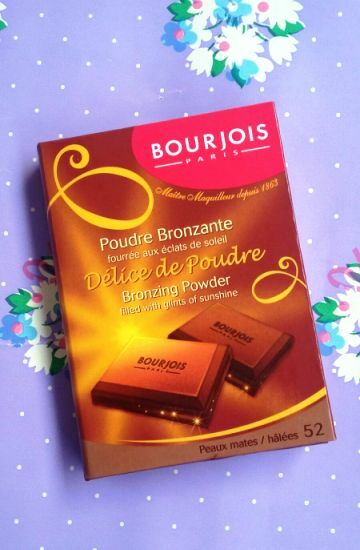 Bourjois Paris claims that the Delice de Poudre Bronzing Powder gives a radiant glow and not a shiny one, giving off the look as you have just returned from an exotic vacation. 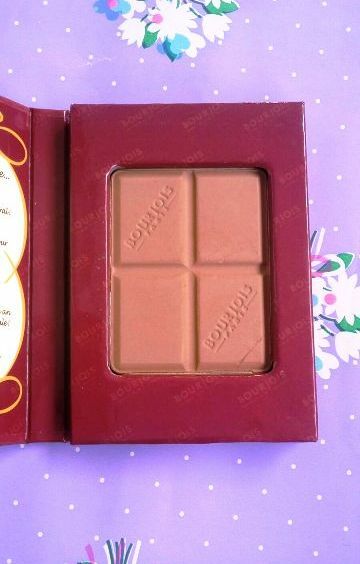 It has a delicious, rather heavenly chocolate scent, is even shaped like a chocolate bar, and one can barely resist to break a chunk off to eat. 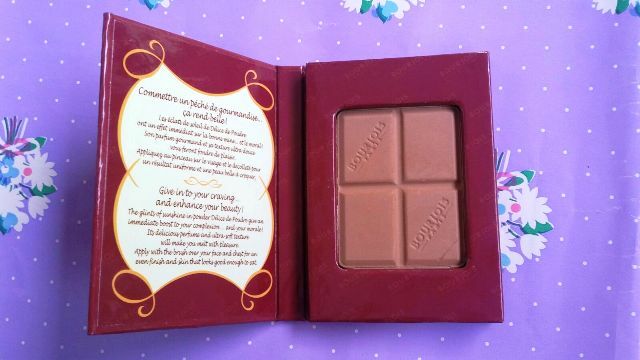 The packaging is fun and quirky, a light cardboard, though has a sturdy magnetic grip, and the chocolate shaped bronzer rests neatly into it, and can be easily carried in your travel case. The best thing about this bronzing powder, in my opinion is that is does not have a heavy amount of shimmer, but very subtle flecks of gold that are prominent only when light hits your face. Other bronzers might make you end up like a disco ball, but the Bourjois Delice de Poudre Bronzing Powder serves as the perfect powder to contour with, or just to add a subtle sun-kissed glow. The powder is meant for fair to medium skin tones, it might not be visible on darker skin tones, and has an almost buttery, soft texture, which is another delight. The powder comes in two shades, Peaux Claires/Medians no 51 and Peaux mates/hâlées no 52, which is the one I have here. Number 52 is the darker shade meant for medium skin tones and has a yellow undertone to it, and glitter flecks are denser in it. The silky soft formula makes the bronzer easy to use, and play around with, and is quite blendable and buildable. If you are new at bronzing, just a beginner, the Bourjois Paris Delice de Poudre Bronzing Powder will be a perfect aid, as it gives you the control to build the colour up, and has a very natural touch. You may take this bronzer's colour as high as faking a tan, but it still would not give you a horrid orange or muddy look. Though the price tag of £7.99 might seem too much for a drugstore product, it is very much worth every cent, and will become your perfect option for a natural glow. I prefer to use the Real Techniques Blush Brush with this bronzer for an every day glowing look, as the egg shaped fluffy brush evenly blends the powder for a flawless glow.